Edward Bellamy was an American novelist, an economic propagandist, and a social reformer. His memorable achievement is the novel Looking Backward. Edward Bellamy was born on March 26, 1850, in Chicopee Falls, Mass. His father, a Baptist minister, and his mother, a minister's daughter, were both descended from 17th-century New England families. In 1867 Bellamy failed to get an appointment to West Point; instead he studied literature for a year at Union College in Schenectady, N.Y. He spent much of the next year in Dresden, Germany, where he observed the prosperity of the state-owned china works. Traveling in England, he was appalled by the misery of the poor victims of what he called "English serfdom." Returning home in 1869, he began to study law in the offices of a Springfield, Mass., firm. He was admitted to the bar in June 1871, opened his own office, took one case, and then completely abandoned the legal profession. Bellamy accepted an editorial job on the staff of the New York Evening Post, and the following summer he returned to Springfield to write book reviews and editorials for the Springfield Daily Union. At about the same time he began publishing short stories in magazines. He continued his journalistic career until 1881, but his primary interest had become literature. By 1884 he had published four undistinguished novels. His marriage in 1882 and the birth of his first child in 1884 gave him economic reasons for concentrating his efforts on producing popular fiction, but the two events also gave him, he said, special reasons for working to improve the world in which his children were to live. Both ambitions were splendidly fulfilled when Looking Backward: 2000-1887 was published in 1888. In Looking Backward a young Bostonian wakes after a hypnotic sleep of 113 years to find himself in the world of the year 2000, from which greed, misery, and war have been extirpated. Private enterprise has been replaced by a benign state capitalism, and the resulting society is a true utopia. Bellamy's characters are thin, but his economic parables are well wrought. The persuasive force of the book became apparent at once through the organization of Bellamy Clubs and through the movement Bellamy called "Nationalist." Speaking tours took much of his time and energy thereafter. From 1891 to 1894 he edited a weekly newspaper, the New Nation. Bellamy published Equality (1897), a sequel to Looking Backward, but it had much less force than his masterpiece. By that time his health was failing rapidly. He went to Denver for treatment of tuberculosis. He returned to Chicopee Falls the next spring and died there on May 22, 1898. A collection of his best short fiction, The Blindman's World and Other Stories (1898), was posthumously published with a preface by his longtime admirer William Dean Howells. 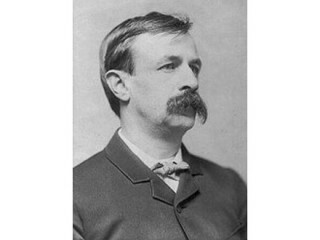 View the full website biography of Edward Bellamy.